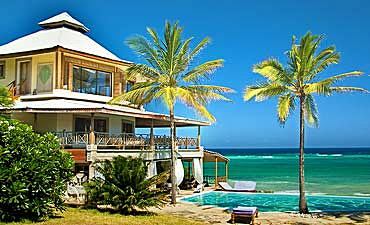 Looking For Island & Beach Holidays In Kenya? 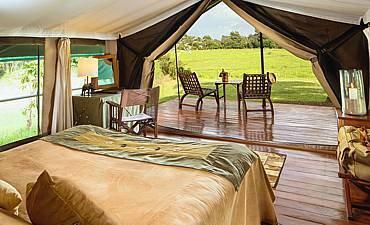 Scroll Down For Details..
As you dream about your ultimate safari in Kenya, you may envision riding in a safari vehicle watching the passing savannah plains. 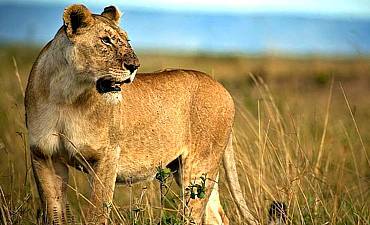 The thrill of your day may be witnessing the birth of a zebra foal or watching a skillful lioness take down her kill. 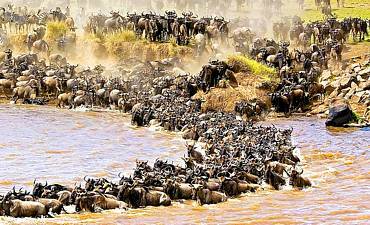 Perhaps you anticipate the heart-pounding pace of the Great Wildebeest Migration in Masai Mara National Reserve. What you may not consider, though, is spending your days strolling along white sand beaches as turquoise water washes upon your feet. 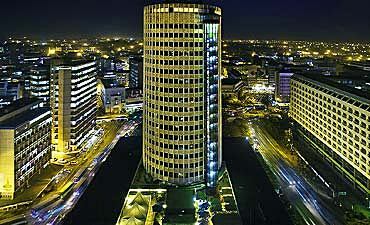 Believe it or not, Kenya is a phenomenal coastal destination. 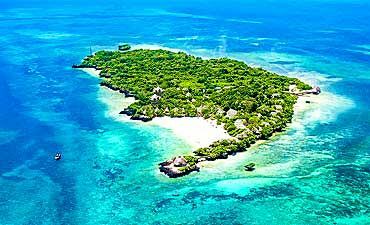 Best of all, some of the idyllic beaches and islands of Kenya like Msambweni, Funzi, Che Chale in Malindi, Galu and Lamu offer utter solitude with varied aquatic and terrestrial experiences. 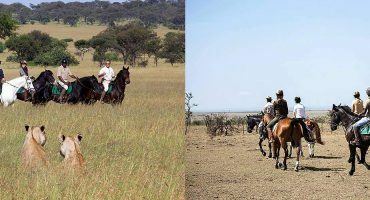 AfricanMecca Safaris invites you to explore the possibilities of augmenting your high-pace wilderness tour of Kenya with a seaside experience. 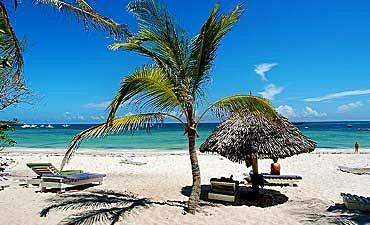 The contrast of soft white sand and azure blue water lulls you into the enchantment of Kenya’s many seashores. Each beachfront setting offers a unique experience to suit the personal style of every guest. 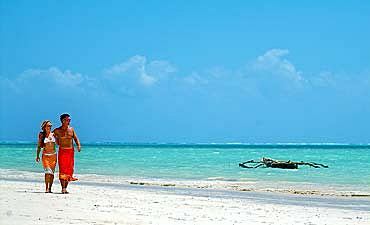 The buzzing pace of beaches on Mombasa’s North Coast is perfect for value guests, especially families, and those wanting to be close to the mainland, while the privacy and isolation of the South Coast Mombasa is well-suited for couples, small groups, solo travelers and also families (read more on beach holidaying in Mombasa). 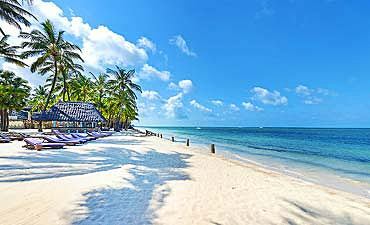 For a picturesque setting, Malindi offers brilliant blue water and incredible stretches of beach along the edge of a 13th-century coastal town. 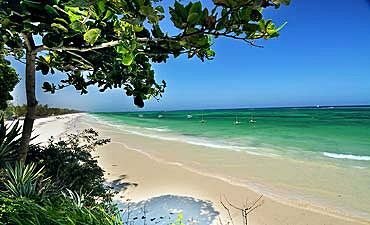 Another favorite amongst our family and elderly guests are the beaches of Watamu. The primary oceanfront setting is sited next to a marine reserve, and is dotted with coconut palm trees that dance in gentle ocean breezes. 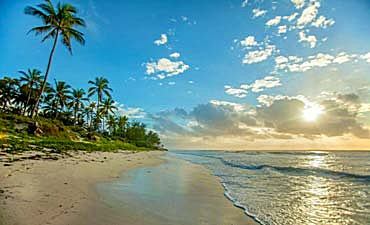 Kilifi has two seaside areas separated by a creek bridge, the smaller of the two beaches, Shauri Moyo Beach on the south, offers access to distinct aquatic activities and Mnarani Ruins. There is also a small beach area along the Kilifi Creek where a value hotel is sited. Lounging on the north side is the order of the day at the longer beach stretch of Bofa. Just beyond the sands of Kenya lies the warm Indian Ocean, and just below the surface is a breathtaking world of colorful marine life. 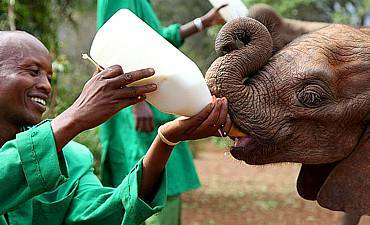 Kenya is, in fact, home to some of the world’s greatest dive sites and snorkel reefs, including the second longest barrier reef on the planet. At Mombasa’s South and North Coast, you dive and snorkel amongst the reefs of Kisite Marine Park and Mombasa Marine Park. The views from the water’s surface are incredible, but going below the surface reveals reef walls that entice even the most experienced diver. But Kenya’s coral reef sites do not stop there! 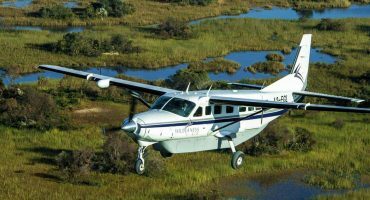 Watamu Marine Park and Malindi Marine Park both offer incredible experiences of over 100 types of coral and more than 600 fish species at the North Reef, Turtle Bay and also along Mida Creek during your African marine vacation activities. 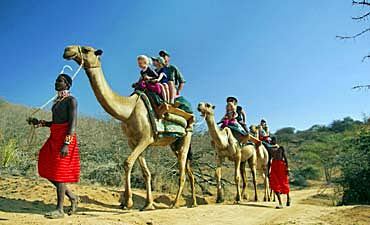 Younger children are intrigued by what they see during glass-bottom boat rides organized via AfricanMecca. The colorful and eerie marine life of the Indian Ocean entices you to stay below the surface, but there is plenty to do above the surface. 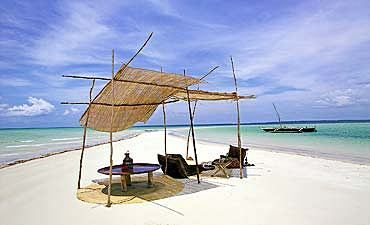 Add some romance to your seaside travel in East Africa with an evening dinner and dance sail in a traditional dhow. 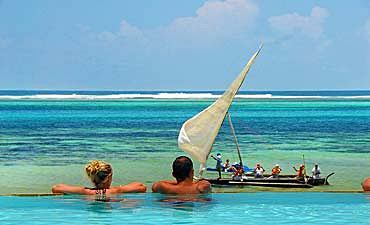 Aquatic sports like windsurfing, kitesurfing, jet-skiing are great ways to enjoy the seawaters of Kenya. With miles of beaches, Kenya gives you plenty of space for your shore activities alongside refreshing cocktails that are always available at your hotel bar. 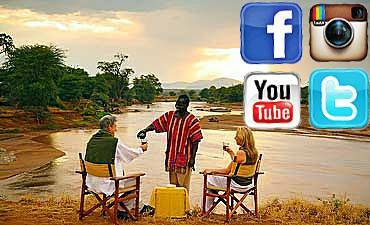 Would you ever imagine that Kenya is a world-class destination for fishing? Just beyond Kenya’s coastline is some of the world’s largest and most challenging game fish that swims through its water. Whether you are an amateur or professional angler, or anything in between, you will find the most high-pace, thrilling and divine deep sea fishing just off the coast of Mombasa, Watamu, Malindi, Lamu and many other sites. Throughout the year, you can catch your very own dorado, wahoo, giant trevally, kingfish and others. 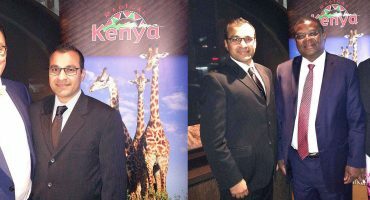 Experienced anglers, though, usually want to catch the biggest and the best of fish, and Kenya does not disappoint! Visit Kenya from July to March, and you may catch yellowfin tuna, sailfish, marlins from stripped, blacks to blues, shortbill spearfish and more. These beasts are accompanied by tiger, mako and hammerhead sharks that lurk the waters. If you are still not convinced that Kenya is a superior angling destination, consider catching the feistiest fish in the ocean – swordfish. Like other places in the country, the beaches and islands are home to many worthwhile natural and cultural treasures. 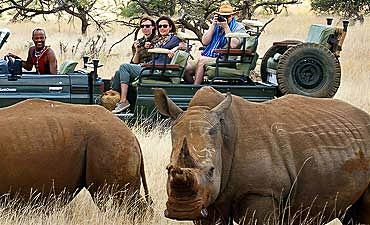 Protected areas and historical sites give you new insight into the people, flora and fauna of Kenya. Terrestrial species abound in Shimba Hills National Reserve near Mombasa’s South Coast, and the inland forests and mangrove lakes of Funzi Island should not be missed! 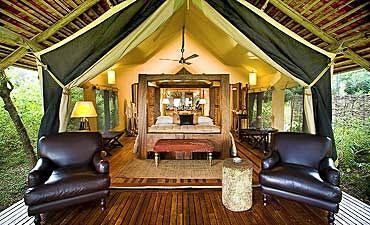 Explore Arabuko Sokoke Forest Reserve near Watamu and Marafa Depression near Malindi. Take quiet morning seaside walks along Kilifi and Mida Creek near Watamu to see various avi-fauna that excite every birdwatcher. 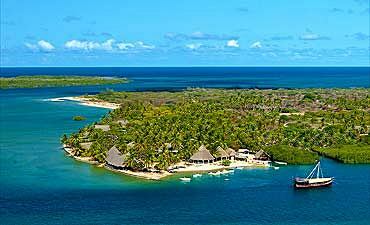 Mombasa Island offers easy access to Tsavo East and Tsavo West National Parks. For archaeology and antiquity buffs, the ruins and coastal towns of Kenya will pique your curiosity. On Mombasa’s Old Town near Fort Jesus Museum, you wander along narrow, labyrinth alleys lined with quaint houses and faith structures likes mosques to even Hindu temples and churches across the township. Watamu has the abandoned Gedi Ruins from the 12th century while Kilifi has Mnarani Ruins that was occupied two centuries later. Lamu Island, a 14th century untainted Swahili settlement, is a UNESCO World Heritage Site, offering superb deserted beaches, ruins, varied yesteryear architecture and even an old battle fort. Nearby is the very relaxed and leisurely village of Shela. These are some of the many ecological, archaeological and historical sites that AfricanMecca guests enjoy during their beach holiday trip in Kenya.